High Voltage Holiday Detector - Available Now! 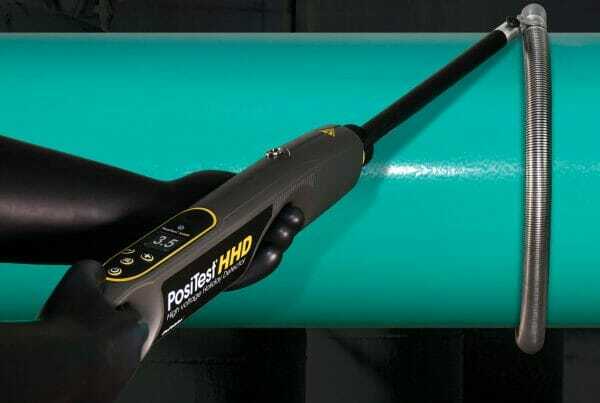 ultrasonically measures the wall thickness of materials such as steel, plastic and more. DeFelsko products come with unequaled handling characteristics and easy, trouble-free operation. They are simple to use and employ leading-edge technology. They come complete with a 30 day money-back guarantee. At this moment in time, they have over 70 models of coating thickness gauges and inspection instruments, used for a wide range of applications in various industries. All DeFelsko gauges are extremely popular worldwide. 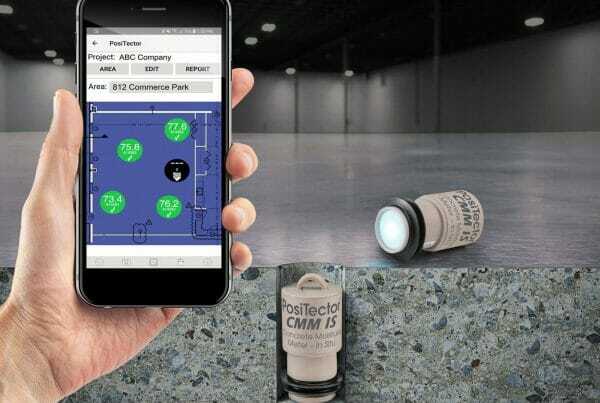 DeFelsko use the most sophisticated technology available to make the job of measuring as simple and accurate as possible. Innovative designs for the finest inspection instruments available. All our DeFelsko gauges come with calibration certificates which is a document that records actual measurement results and all other relevant information to a successful instrument calibration. We have various videos available throughout our website that will help you to learn how to use the gauges and equipment that you have purchased. Most of the product pages will contain a useful video. DFT Instruments always ensure that we are here to answer any of your questions and assist with your paint test equipment that you have purchased from us. We are the Official UK Agent for DeFelsko coating thickness gauges and paint test equipment and sell the full range of PosiTector gauges.. DeFelsko are a United States manufacturer of Coating Thickness Gauges and Inspection Instruments and have been providing Simple, Durable, and Accurate gauges since 1965. DFT Instruments have been the UK Agent and Distributer for DeFelsko Corporation since 1998 and we are proud to provide our customers with the best products in the industry. 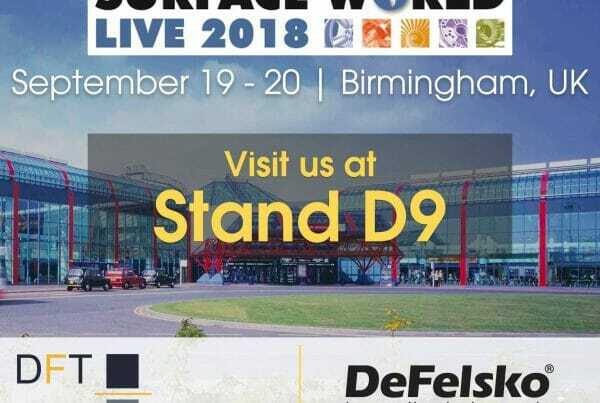 We would love to see you at Surface World. Please come and visit us and see our products in action.